Top rated energy mutual funds can be a great investment opportunity, as long as the funds being considered fit well with your investment goals, as well as your acceptable risk levels and strategies in place. Many investors like commodity mutual funds because of the higher possible returns, but there are also risks involved as well. There is no fund which is perfect for every investor, because each investor will have specific goals, strategies, acceptable levels of risk, and other unique factors. There are some energy mutual funds which come highly recommended from financial and investment advisors and experts, but each fund should still be carefully evaluated and compared to find the right ones for your investment portfolio. 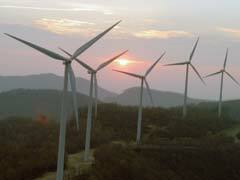 Renewable energy mutual funds have seen an increase in popularity over the last few years. One of the top rated funds in alternative and renewable sources is Invesco Energy, with a ticker symbol of FSTEX. This fund spends four out of every five investment dollars in the energy sector, and this includes conventional and alternative energy companies. Another top pick for consideration in the area of energy mutual funds is the Fidelity Select Energy fund, with the ticker symbol FSENX. Capital growth and holdings that include a diverse range of energy companies makes this fund one of the best. Many investors are finding that choosing green mutual funds offers a sense of satisfaction as well as financial rewards. Energy mutual funds can have holdings that are domestic, foreign, or international. Aberdeen Natural Resources A, GGNAX, is rated one of the best international mutual funds in the energy sector. This is a must consider for any investor, but after careful consideration this fund may not be right for everyone. A small minimum investment amount of one thousand dollars and a very diverse group of holdings, in addition to excellent returns in the recent past, have made this a top pick for a number of investors. There are many choices out there, and careful research will help you pinpoint the funds which are the best fit with your investment goals and portfolio.